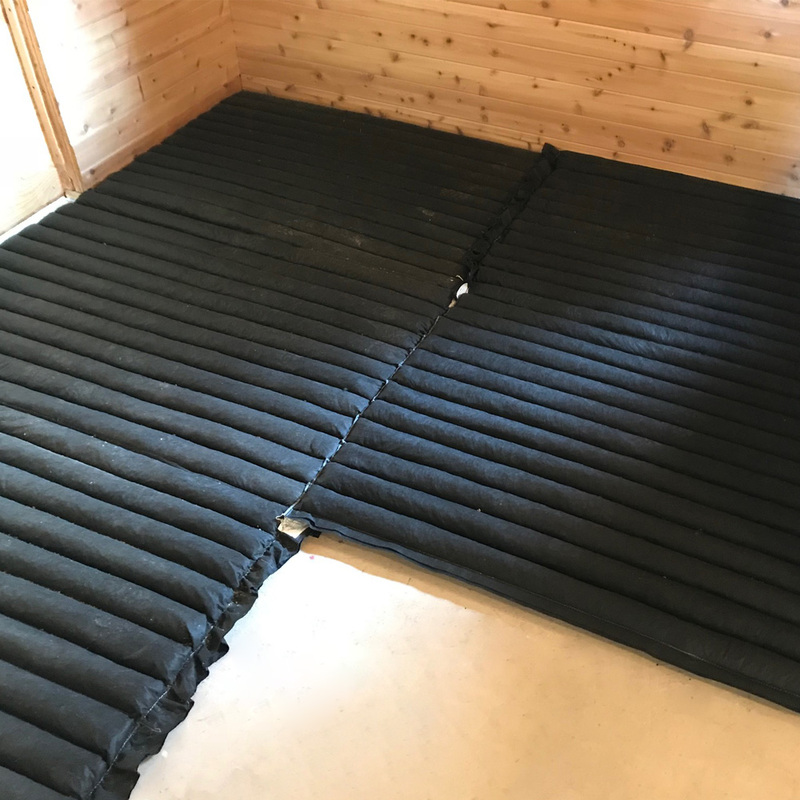 Our ThuroBed horse mattress systems help to provide a healthier living environment for your horses. They are resilient and have a non-slip, impermeable surface for improved comfort and traction. 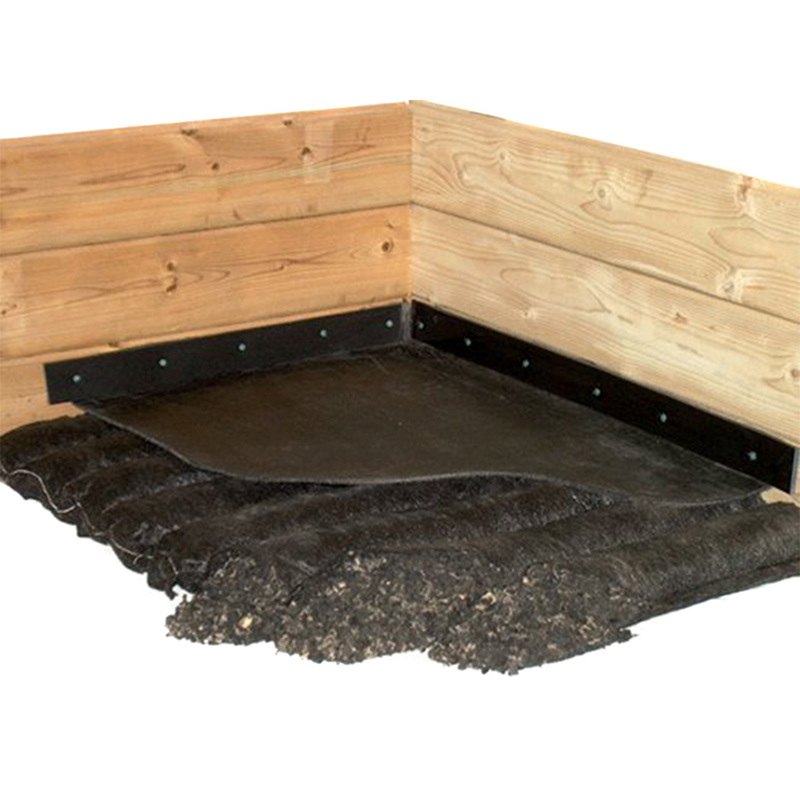 Our ThuroBed mattress systems help to provide a healthier living environment for your horses. 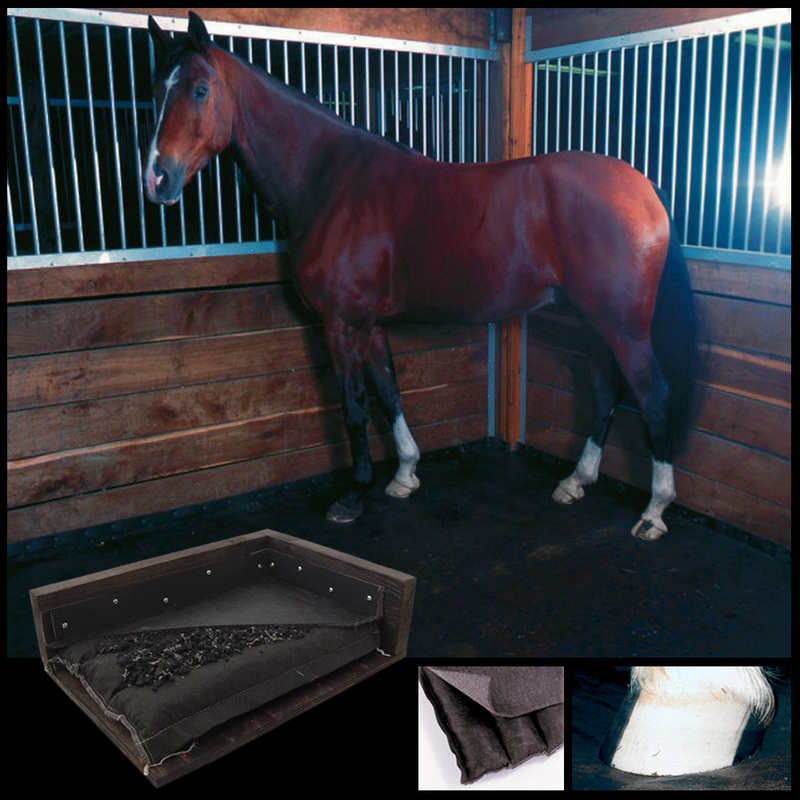 They have a resilient, impermeable surface (which matches the pasture) and comes with a non-­slip surface for improved comfort and traction. This system has also been linked to reducing hock sores on horses. 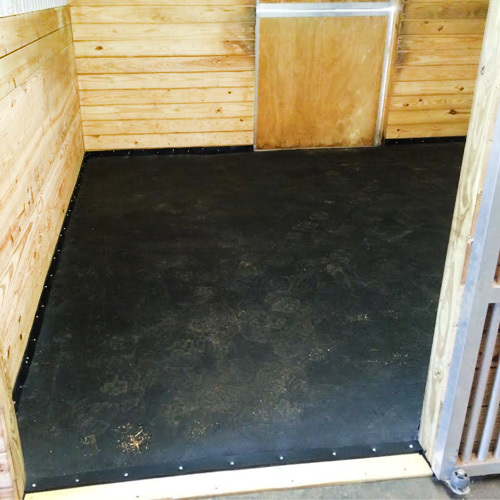 The mattress system decreases muck out time; it uses up to 75% less bedding than other systems and stalls mats. 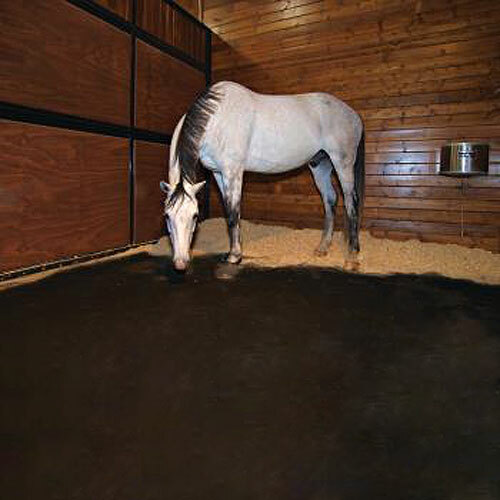 With less bedding, there will be up to two-thirds less manure for disposal, reduced ammonia levels, and a dust-­free eating surface so your horses can eat and breathe easy. ThuroBed mattress systems feature a 3-­year limited warranty that covers normal, everyday use on a proper installation. When the system is cared for and maintained properly, it will last for well over three years. We have customers who are still using their original systems from 90's. The system only needs to be hosed off with some water (do not use a power washer to clean the top cover). It can also be disinfected with a 5% diluted bleach solution. ThuroBed mattress systems are delivered on a 53’ long semi-truck and trailer. The truck must have plenty of room to access the driveway and to turn around. The top cover for your Thurobed systems will come as a large roll and each mattress weighs 130 lbs. The mattresses will be on 4’ x 6’ pallets with a maximum weight of 3,640 lbs. You are solely responsible for offloading, as the driver will not be equipped to move pallets to the back of the truck or assist with unloading in any way. You can use chains and a tractor to drag the pallets to the back of the truck or hand unload the mattresses without moving the pallets. Equipment used for moving full pallets of mattresses should be rated for 4,500 lbs. and have extended forks. Your freight rate includes 1 hour of unloading time. Any extra fees charged by the freight company for additional services (extended wait time, lift gate, etc.) are your responsibility. You will be notified of delivery time within 24-48 hours of delivery. 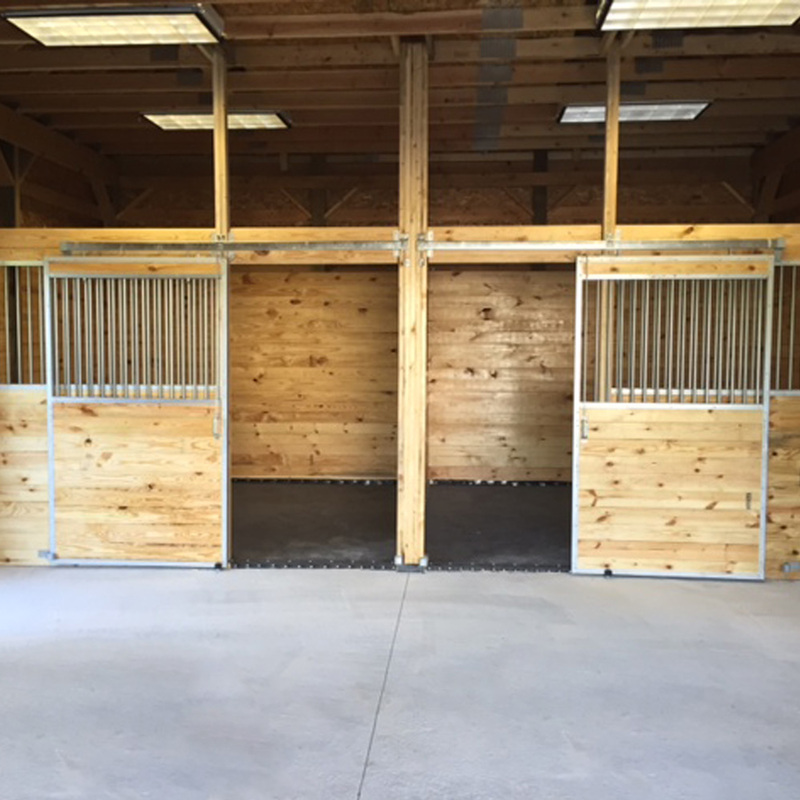 - I love this system and my horses seem to as well. My oldest has arthritis and doesn't want to leave his stall after having put this in. Makes cleaning the stalls a breeze especially since my two paints are more like pigs than horses in their stalls. Def worth the money that I spent on their two stalls. - "My horse LOVES her ThuroBed Mattress!! She is much more comfortable than ever before. There's a great spring in her step!" 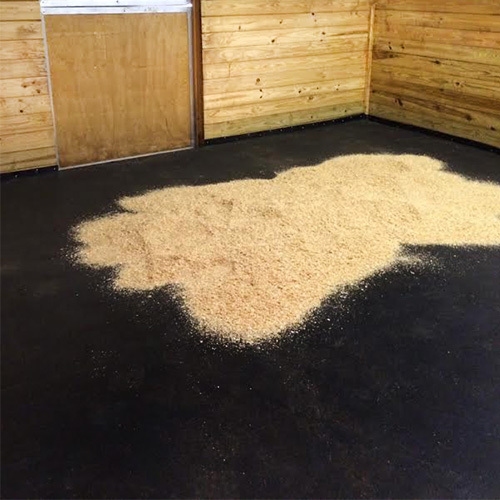 - "I purchased the ThuroBed system because my horse is always getting hock sores. The system has been installed for no more than 10 days and there are no signs of sores. Amazing. He was also caught snoring away the other day! Needless to say, we both love it." 5 Fastening Strips (2" W x 10' L). 4 Fastening Strips (2" W x 10' L). 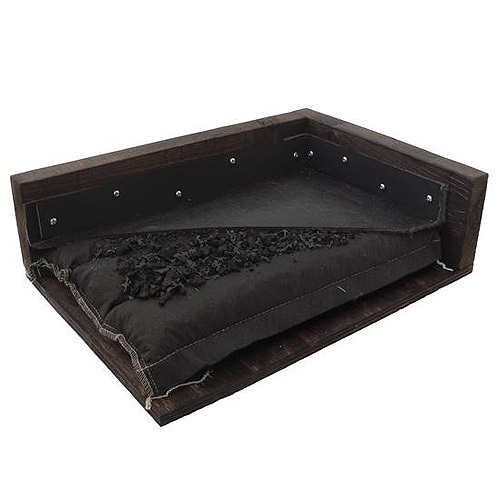 Shipping: This item ships through an LTL freight crarrier (via semi-truck delivery). Please contact one of our expert account managers for a shipping quote. *Note: Mounting screws for the fastening strips are sold separate. 100 screws (1.25” x #12) are required for proper installation.